Episcopal bishop and activist Duncan Montgomery Gray Jr. was born on 21 September 1926 in Canton, Mississippi. His father, Duncan Montgomery Gray Sr., served as the fifth coadjutor bishop of the Diocese of Mississippi from 1943 to 1966. The younger Gray spent his early childhood and adolescence in Columbus, Meridian, and Greenwood. After graduating from Jackson’s Central High School, he participated in the US Navy’s V-12 program. He earned a bachelor’s degree in electrical engineering at Tulane University and in 1948 took an engineering position with Westinghouse in Pittsburgh. On 9 February of that year, he married Ruth Miller Spivey, and they went on to have four children. From 1950 to 1953 Gray studied theology at the University of the South in Sewanee, Tennessee, receiving a master of divinity degree. He was ordained a priest in October 1953 and served in small congregations in Cleveland, Rosedale, and Oxford, Mississippi, over the remainder of the decade. Gray became a noted southern spokesperson for integration in the 1950s and 1960s. During his tenure as president of the Sewanee seminary student body, he and others met with the board of trustees regarding the integration of the seminary. In 1956 he was asked to leave the Mississippi State College campus after presenting a pro-integration speech during a Religious Emphasis Week program. Most notably, however, during the days of rioting that followed James Meredith’s 1962 enrollment at the University of Mississippi, Gray was a voice of calm and moderation, attempting to persuade students to discontinue their irrational behavior. He preached a similar sermon as part of the Day of Repentance that followed the riots. Gray continued his activism through the 1980s. 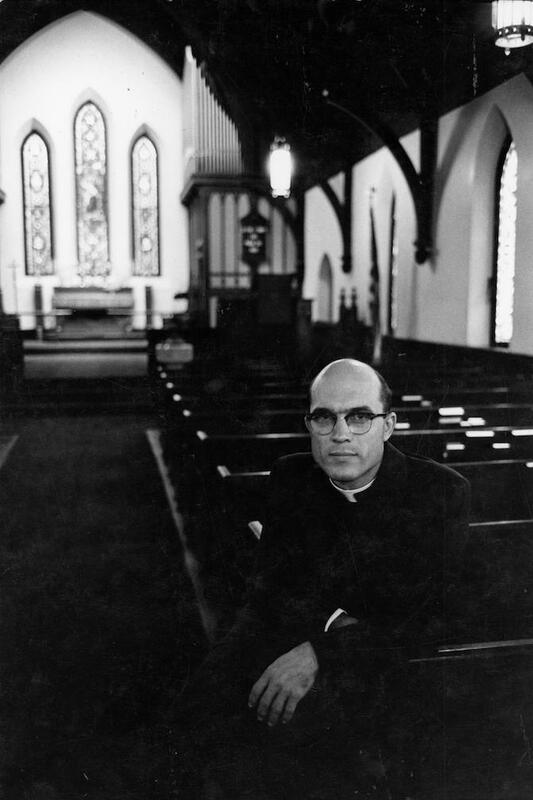 As rector of St. Peter’s Church in Meridian, he and other clergy formed the Committee of Conscience that helped to rebuild African American churches bombed and burned by Ku Klux Klan members. He worked with the Lauderdale Economic Assistance Program, the first community action agency sponsored by white liberals and one of the groups that competed for control of the state’s Head Start Centers in the mid-1960s. In addition, he served as president of the Mississippi Council on Human Relations from 1963 to 1967, was a board member of the Southern Regional Council, and chaired Meridian’s Title I Advisory Committee. He served as a member of the Mississippi State Advisory Committee to the US Commission on Civil Rights, the Mississippi Hunger Coalition, Jacksonians for Public Education, the Committee of Southern Churchmen, the Mississippi Religious Leadership Conference, the Mississippi Chapter of the American Civil Liberties Union, and Community Relations Service. He was consecrated bishop coadjutor of the Diocese of Mississippi in 1974 and remained in that post until his retirement in 1993. His son, Duncan Montgomery Gray III, became bishop coadjutor of the Diocese of Mississippi in 2000. Article Title Duncan Montgomery Gray, Jr.
Keywords Duncan Montgomery Gray, Jr.